The bill, based on an Obama proposal, is intended to save students an average $3,800 in tuition and fees annually. The bill would cost $90 billion over 10 years, Baldwin estimated. Two Democratic members of Congress introduced a bill Wednesday that would carry out a program President Barack Obama proposed months ago: to provide free tuition for community college. America’s College Promise Act of 2015 proposes $3 worth of federal aid for every $1 invested by a state in order to waive community college tuition and fees for eligible students before other financial aid is applied. The bill would also cover “a significant portion of tuition and fees” for either the first or last years of college for low-income students attending four-year minority institutions such as historically black colleges and universities and Hispanic-serving institutions. In order to qualify students would need to be attending college for the first time on at least a half-time basis and they would have to maintain “satisfactory academic progress.” More than 9 million students could benefit, according to the bill’s sponsors. The bill is intended to save students an average $3,800 in tuition and fees annually, and according to its sponsors, could benefit more than 9 million students. For the 2014-2015 academic year, tuition and fees for two-year public community colleges averaged $3,347. “Every student in America deserves a fair shot at higher education,” said Sen. Tammy Baldwin, D-Wis., on a conference call. “Higher education should be a path to shared prosperity not a path to suffocating debt.” Student debt in the U.S. now tops $1.2 trillion and exceeds credit card debt. Baldwin, Rep. Bobby Scott, D-Va., and Education Secretary Arne Duncan all made the point that an educated work force is necessary for the U.S. to compete in the global economy. By 2020, an estimated 65% of job openings will require postsecondary education or training, according to a fact sheet about the bill from the House Committee on Education & the Workforce, whose ranking member is Scott, a co-sponsor. Baldwin said the legislation is estimated to cost $90 billion over 10 years — $80 billion for the community college portion and $10 million for the minority institution portion. That could help build support for the bill, but the program is not expected to attract many if any Republicans who control both houses of Congress and who were critical about the plan when Obama first introduced it in January. Currently Tennessee, led by Republicans, and Chicago offer free community college tuition. Oregon’s Legislature just passed a bill that will do the same starting in 2016. 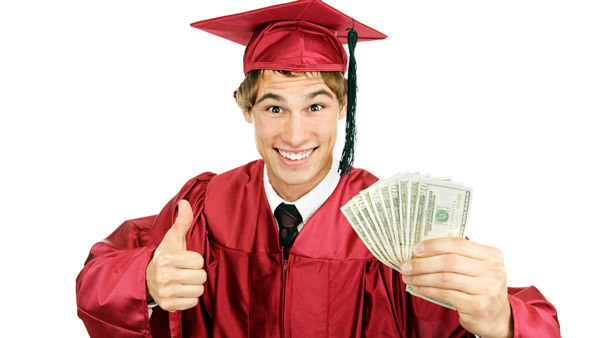 Which College Majors Are Solid Investments?